SM Entertainment Company will be working together with James Cameron, the creator and director of Hollywood blockbuster, Avatar, and Samsung Electronics on a series of 3D-related production (including movies, music and other tools of commercialization). SM, Cameron and Samsung Electronics will hold a combined conference regarding the expansion of 3D-related content on the 14th at Samsung Electronic’s multi-purpose hall located in Seocho-dong, Seoul. Other than the SM production team, BoA, Yunho, Changmin and other artistes will also attend the conference. On the other hand, James Cameron, who arrived on the 12th with his wife for a 3-day schedule, will return to Los Angeles on the afternoon of the 14th after concluding his schedule for the “Seoul Digital Forum”. I don’t remember everything… but I will write everything I remember here. I’ll talk about what is being talked about between our stars (Cassiopeia) first. You have to know this. I see a lot of our stars saying that the three members should agree to the conditions laid out today, but remember that SM was not the ones to put forth those conditions!!! The judge gave SM’s representative a very extreme example and asked him if SM would be willing to change the three members’ contract if the terms of contract were a year long and if the contract was entirely different from the current one. It felt like he was saying that they would be willing to consider but not that they would agree on a settlement for sure. To this, the judge asked the three members’ side the same question, and the lawyer talked as if he had no inclination to come to a settlement. It did seem as though he was watching what he said as the three members weren’t there, but he said that the three members didn’t really want to come to a settlement.. So the judge asked if a settlement was impossible and the three members’ lawyer said something about personal trust and that the relationship between the three members and SM had become too tight. And overall… this was a bit.. iffy.. but personally, I thought SM’s lawyer spoke very well. I almost felt as though I was being persuaded? What he said sounded so credible… but he was a bit arrogant? He sat crooked in his chair, and I felt that the way he spoke was a little arrogant too. Compared to him, the three members’ lawyer was… so lacking that I wanted to speak instead of him. The judge was kind of throwing questions at them in a kind of attacking way and was able to pick out all the flaws in the arguments. And he said that two out of the three members had credit lines (*please see below) and asked SM how they were going to explain that. And Crebeau wasn’t brought up that much. SM’s side stated that SM balances accounts biannually. The three members’ side stated that this all happened partially due to the fact that the members’ wages for the first half of 2009 weren’t right, so SM had told them to come check for themselves. The information for concerts and activities aren’t sorted into TVXQ, Super Junior, SNSD, etc, but it comes all together in the groups of 200X, month X, day X so SM said all the information they had could store a container truck. Anyway, they still haven’t been able to properly check this as there wasn’t an answer. Also, the three members’ lawyer said that he received a copy of the accounts but the specifics of what came from where were not written on them. For example, it said that TVXQ earned 3.4 billion Won from their first Asia tour concerts that had a total of 14 performances but in their second Asia tour, that had a similar number of audience members and a couple of extra performances, they earned 1.5 billion Won less (I don’t remember if he said that it was 1.5 billion Won less, or that it was only 1.5 billion total). and for the Japanese activities, TVXQ earned over 99 billion Won but no money ever gets to them, and that their Japanese earning are split between AVEX and SM Japan, and then to SM and then to the members. He was questioning where all that money went… (sorry;; my memory is….) and the judge asked him what his point was, and also asked if his point was that he can’t trust in AVEX, and if the members can’t trust in AVEX, why they renewed their contract with the agency. The lawyer said that it wasn’t that the three members didn’t trust AVEX, it was that they couldn’t trust what came after AVEX… something like that. In conclusion, the judge said that neither side seemed to want to back down from their stance and that it would be hard to reach a settlement. +)But the three members’ side did say they would talk to the three members about it again. If I could say one more thing, I think SM has a lot of evidence prepared for this lawsuit. Every time the representative opened his mouth, he would say that he would submit it all later…….. Anyway, the lawyer was very convincing… I would get so angry, I wanted to get up and speak for the three members instead.. they would say ridiculous things….. as I said, I’ll add more when I remember it. but the three members’ lawyer said that it hadn’t been long since the three members were no longer minors and they might not be able to speak well in such a situation. I think that was why the lawyer said such things…. um…. And what the three members’ side was emphasizing was performing activities as five. That the three members really wanted to perform as five.. They were told to submit all documents by late-May… that will probably be when the verdict is made..? And what I’ve written here contain no lies, they’re all things I saw and heard. I hope that our stars believe in them and wait for them till the end. T/N: Line of Credit – A line of credit is any credit source extended to a business by a bank or financial institution. A line of credit may take several forms such as cash credit, overdraft, demand loan, export packing credit, term loan, discounting or purchase of commercial bills etc. It is like an account that can readily be tapped into if the need arises or not touched at all and saved for emergencies. Interest is only paid on the money actually taken out. The concept has been introduced recently after the East Asian Crisis. The government can borrow money from international monetary institutions without having to handle the problem of an increasing foreign exchange reserves. Three members of TVXQ (Xiah Junsu, YoungWoong Jaejoong, Micky Yoochun) and SM Entertainment had their first hearing today regarding an objection to the verdict on a contract suspension injunction that was made last year, and were unsuccessful in closing the gap between their conflicting stances. The legal representatives of the three members of TVXQ and SM met at the Seoul District Courts at 5 p.m. on the 7th to state their stances on the lawsuit made by SM Entertainment regarding an objection to the contract suspension injunction verdict. This hearing was held after SM filed for the lawsuit on April 12th as an objection to the partial acceptance verdict made by the Courts last year. 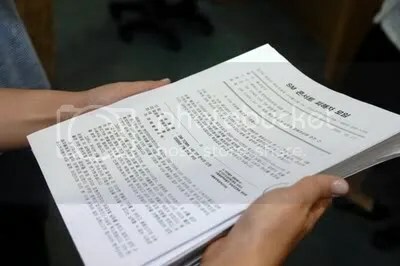 At the hearing, SM’s representative stated, “Compared to other agencies in Korea, TVXQ’s income division is not unfair,” and emphasized that TVXQ’s income division was not a pressing issue in the exclusive contract. The representative also strongly questioned the three members’ action of signing a separate contract with their Japanese agency AVEX although only the contract suspension injunction, not the actual lawsuit, had been partially accepted by the Courts. The judge in charge of the hearing (Judge Choi Sung Joon) questioned both sides of the possibility of a settlement, but no groundbreaking outcome came of it. The Courts asked both sides whether a settlement could be made if the contract was fixed but received different answers. On the other hand, Kim Young Min and Nam So Young attended the hearing as SM and SM Japan’s representatives respectively but none of the members of TVXQ attended. The Courts will examine all files submitted by both sides till the end of this month and reach a verdict regarding SM’s objection to the contract suspension injunction verdict. 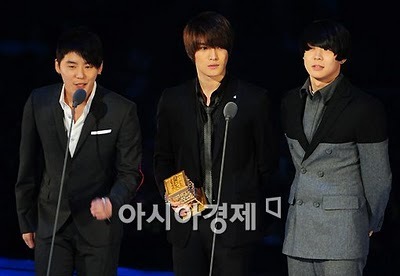 The lawsuit between TVXQ members, YoungWoong Jaejoong, Micky Yoochun and Xiah Junsu, and SM Entertainment will begin on May 7th. SM Entertainment took action against the three members of TVXQ and filed for an objection to the verdict on the contract suspension injunction as well as a verification of the continued existence of the exclusive contract. The first hearing for this lawsuit will be held at the Seoul District Courts on May 7th in the afternoon. On this day, only the legal representatives of the two side will be attending the hearing. As this is a civil suit, the three members will not be participating in the trial. 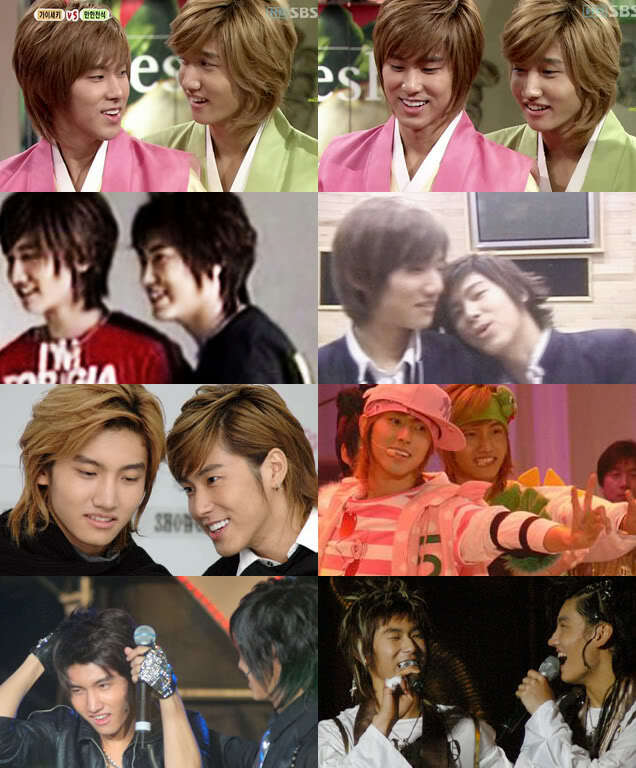 The three members of TVXQ filed for a contract suspension injunction against SM Entertainment on July 31st, 2009 to the Seoul District Courts and were rewarded with a partial acceptance verdict on October 27th. Then, SM filed a lawsuit against the three members on April 12th, 2010 objecting the verdict to the contract suspension injunction and asking for a verification of the continued existence of the exclusive contract. SM also called for the three members to pay 2.2 billion Won in compensation. A founder of the SM entertainment resigned from SM. Lee Soo Man will withdraw from his duties at SM (Korea) which he founded in 1995.
and stay only as a main shareholder of the SM entertainment in Korea. 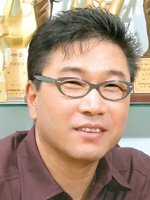 from the director’s position since SM (in Korea) has been administered by the representative Kim Myongmin. could be strengthened/improved/강화될 due to this change at SM entertainment (Korea). Recently Avex sold their stock to Lee Soo Man and Neowizbugs. he remains strong as the main shareholder of the SM owning total of 28.3% in share. but none of them mention anything specific about TVXQ. The number of people who applied for compensation, at the Korea Consumer Agency, for the cancellation of SMTOWN in August have reached 872. A representative said that a majority of the applicants were youths, and proper proceedings will be carried out after these 872 applicants have been verfied. Due to the dispute SM is having with 3 members of TVXQ, the “SMTOWN LIVE ‘09″ concert that was to be held in August was cancelled. The Committee estimates that the total sales for that concert amounted to roughly $9,090,000,000 (Won), and the Family Ticket which allowed 4 people to enter together amounted to $143,000 (Won). The Committee will take into consideration that most of the applicants are youths, so the latest the verdict will come out is by next year, and a conclusive verdict will be given then.